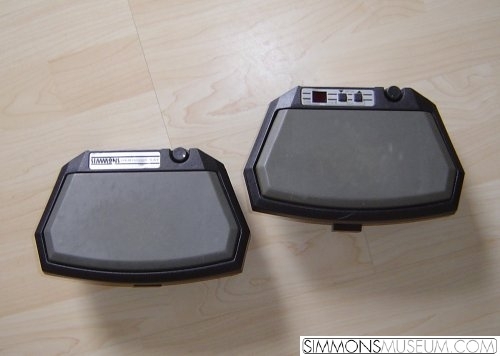 A complete 5-piece set of drum huggers features a master pad with built-in trigger to midi interface as well as four more passive trigger pads which can be plugged to the master using simple 1/4" jack guitar cables. The pads are called huggers as they are mounted piggyback on the rims of acoustic drums. The master pad can be supplied by an external power supply as well as through the midi cable, moreover you can adjust midi channel and midi note and the sensitivity for each pad. All in all a funny and useful invention.